A new report reveals that the United States has the highest first-day infant death rate out of all the industrialized countries in the world. About 11,300 newborns die within 24 hours of their birth in the U.S. each year, 50 percent more first-day deaths than all other industrialized countries combined, the report's authors stated. The 14th annual State of the World's Mothers report, put together by non-profit organization Save the Children, ranked 168 countries according to where the best places to be a mother would be. Criteria included child mortality, maternal mortality, the economic status of women, educational achievement and political representation of women. Worldwide, the report found that 800 women die each day during pregnancy or childbirth, and 8,000 newborns die during the first month of life. 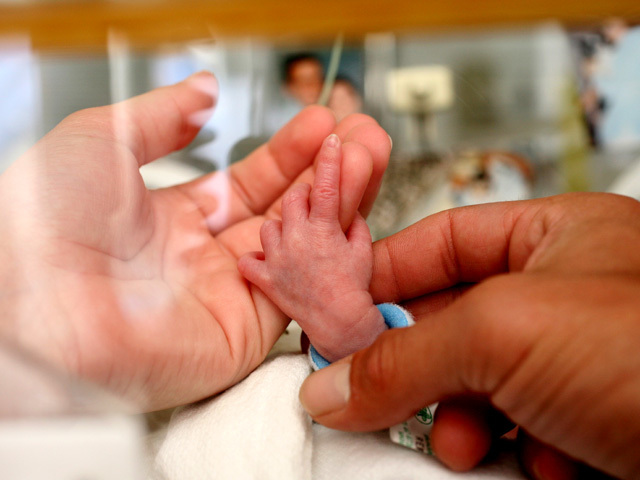 Newborn deaths make up 43 percent of all deaths for children under five. Sixty percent of infant deaths occur during the first month of life. The top five countries to be a mom were Finland, Sweden, Norway, Iceland and the Netherlands. The bottom five were Niger, Mali, Sierra Leone, Somalia and the Democratic Republic of the Congo. Because of their high infant mortality rates, the U.S. only ranked number 30 this year on the report, down five spots from the 2012 report. Save the Children CEO Carolyn Miles told CBSNews.com she was shocked to find that out that the U.S. did so poorly. "We do not do as well on many of those as the Scandinavian countries," Miles admitted. The 2013 edition focused on newborn mortality rates on the first day. The report's authors stated that the first 24 hours of a child's life are the riskiest. More than 1 million babies worldwide die during their first day -- even though there are low-cost technology interventions that can save the lives of 75 percent of those children, Miles pointed out. Simple measures like using a hand-pumped mask that can help resuscitate newborn infants who aren't born breathing only costs $5 a day. Also, making sure that mothers have access to simple antibiotics -- which costs about $2 a shot -- can save up to 500,000 of those babies. "Antibiotics are very simple and very low tech. It doesn't take a doctor to administer an antibiotic injection. It can be administered by a nurse," Miles said. The problem in the U.S. is that many of the babies born here are premature. Miles said that means that most women, especially poor mothers, aren't getting enough access to medical care. "We need to make sure particularly poor mothers get access to quality prenatal care and actually go to the doctor and go to the doctor on a regular basis," she said.